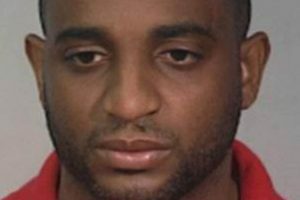 The newest addition to the FBI’s Ten Most Wanted list is a Jamaican gangster accused of being involved in a quadruple homicide at an underground restaurant in Los Angeles. Marlon Jones, who has been described as violent with an extensive criminal background, disappeared after the Oct. 15 shootout. Police are still investigating the shooting, which lead to the arrests of two men. Jone has been charged with four counts of suspicion of murder. Ads said he fled Los Angeles after the shooting to avoid prosecution. Posted: 12/2/16 at 9:34 AM under News Story.